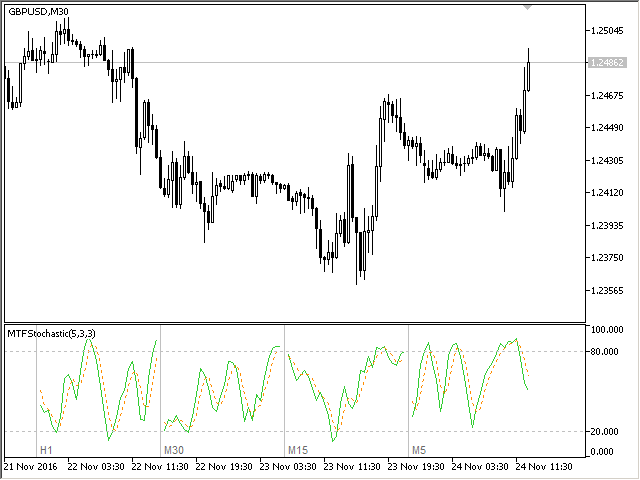 Stochastic Oscillator displays information simultaneously from different periods in one subwindow of the chart. %K Period — K-period (number of bars for calculations). %D Period — D-period (period of first smoothing). Method — type of smoothing. 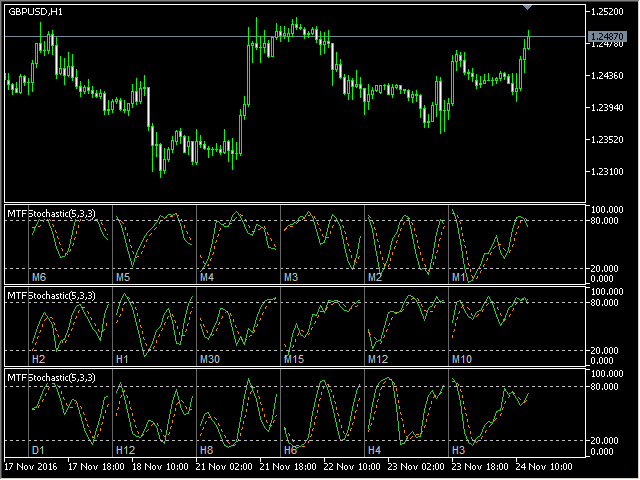 Price field — stochastic calculation method . Timeframes for Stochastic — list of periods, separated by a space or comma or semicolon. Number of bars for each period — the number of bars displayed for each period. Sort periods — sort periods if they are listed in no particular order. 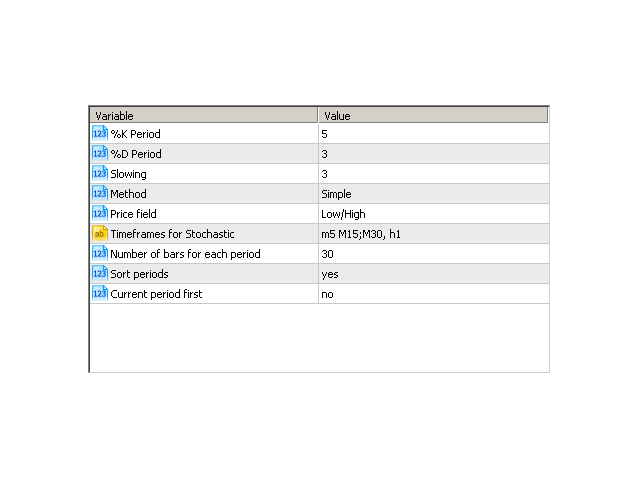 Current period first — display the current period first. Fixed bug removing objects at startup.